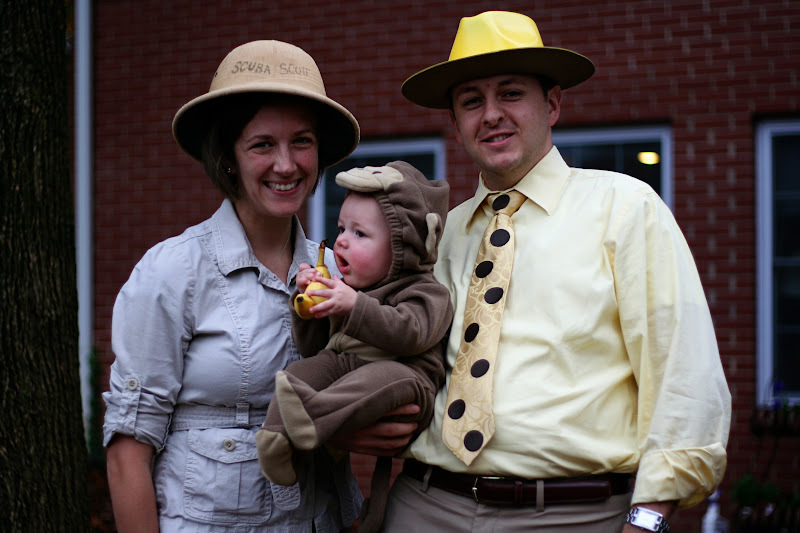 Every blog has to have a post about Halloween--so here is ours. 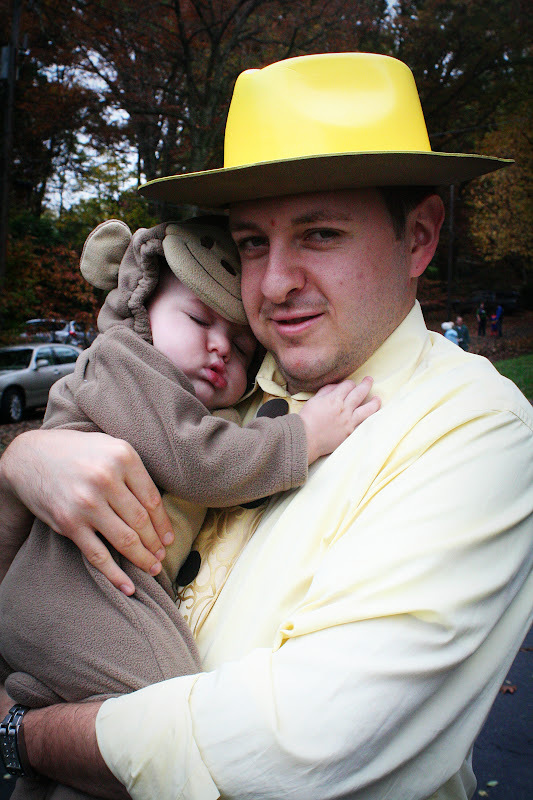 Finley was a monkey, more specifically he was Curious George. And his daddy was The Man in the Yellow Hat. And I was a zookeeper... or something. Last night, we went to the Capitol Hill area where they had a "Hilloween" Festival that Finley will love next year. 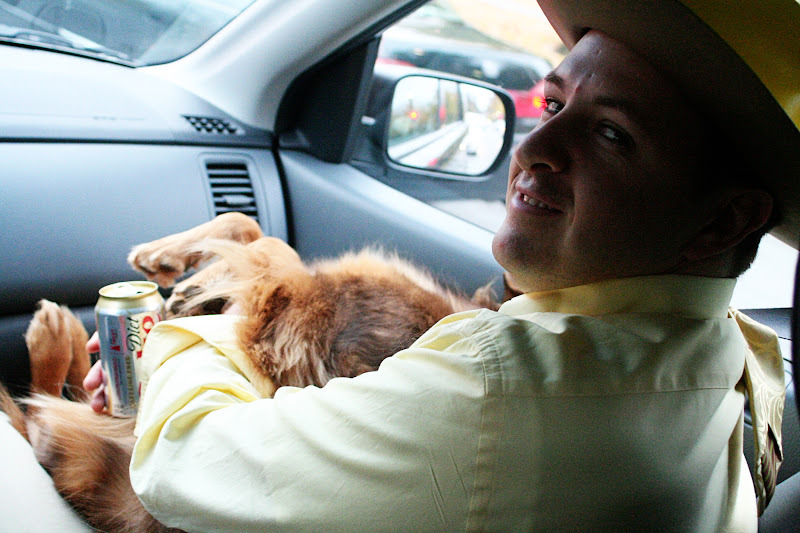 For some reason, we though we needed to bring the dogs too--1 baby, 2 dogs and 3 grown-ups made for a long car ride. I thought we would be ok--the creature to responsible human ratio was in our favor. And it was ok... once we got there. If you had to guess which creature cried the most on the way downtown, who would you guess? If you guessed Copper you would be correct. He is a stressed out passenger. Sol held him the whole way there. On the way back we stuck him in the back with Belle and she tried to talk some sense into him. Unsuccessful. Today, our neighborhood had a Halloween Parade--another event Finley will love next year. This year, it interrupted nap time and so he fell asleep during the parade. He was a tired little monkey. 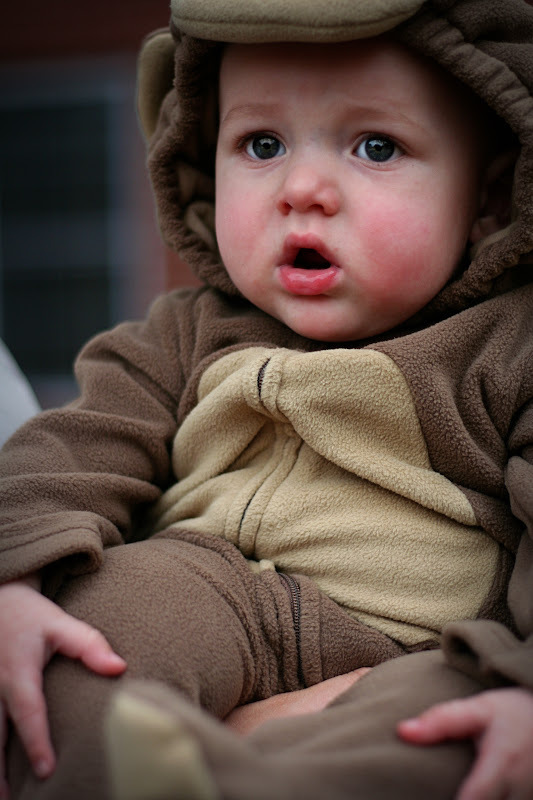 And a cute little monkey. Don't you want one? Cute pictures....did Laura wear a costume? What a cute monkey! I can always count on you to post great photos.